The Korean thriller will receive its UK premiere next month. In a town with a history of unsolved murders, neurotic doctor Seung-hoon (Cho Jin-woong, The Handmaiden) is given cause to believe the residents of the butcher shop he lives above are processing more than just meat after spotting a bloody bag and overhearing a half-mumbled confession. Could the creepy butchers possibly be a pair of serial killers or is the doctor losing his mind? 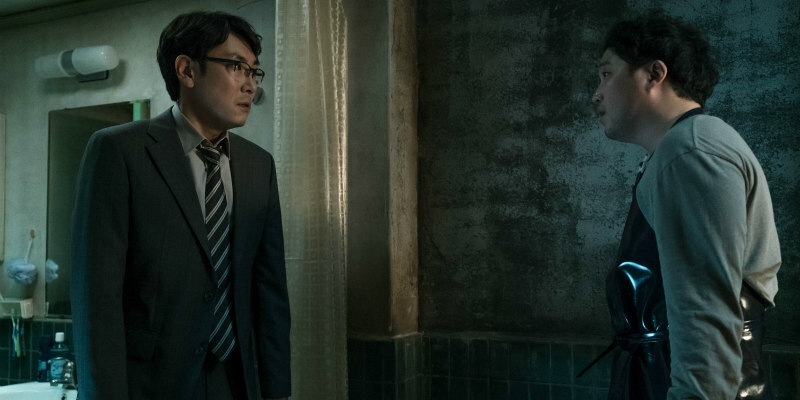 In psychological thriller Bluebeard, director Lee Soo-yeon (The Uninvited) lays a trail of gruesome hints to keep the truth just out of reach of her paranoid protagonist.